...and the worksheets here will provide all the practice you need to master them! Each metric conversion worksheet deals with conversions within specific classes of measurement (for example, length or mass) as well as metric conversions between classes, for example linear dimensions (meters) and area (square meters), as well as cubic dimensions (meters cubed) to volume (liters). The metric system is a rich playground for developing conversions skills before moving on to the slightly more confusing conversion of customary (British) measurements or conversions between customary and metric systems with various conversion constants. Regardless of what sort of conversions you need to figure out, the CalculatorSite.com has a thorough set of unit conversion calculators to solve any sort of problem in front of you. 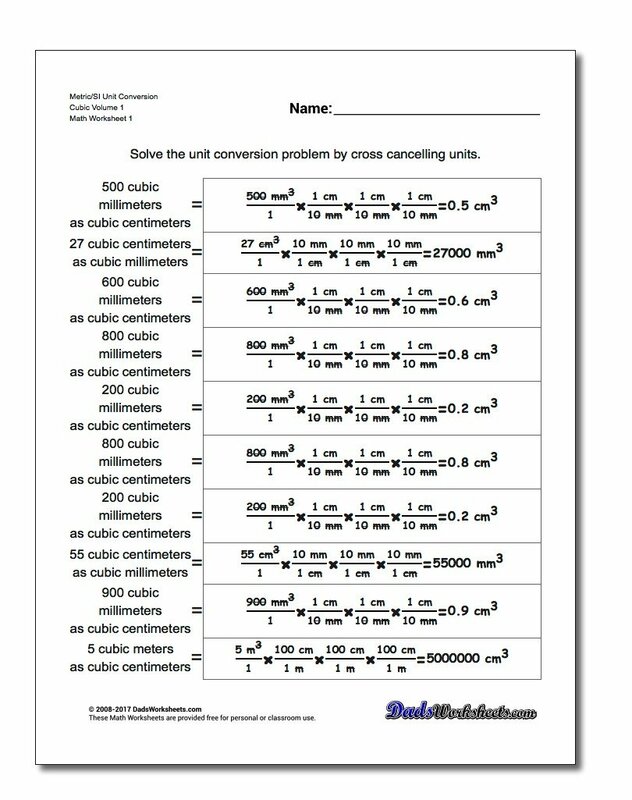 These unit conversion worksheets have problems that practice converting metric/SI unit lengths (meter base units) to other metric units. The conversion worksheets in this section practice converting metric/SI unit mass (gram base units) to other metric units. This section covers unit conversion worksheets for converting metric/SI volumes (liter base units) between other metric units, for example milliliters to liters, centiliters to liters, etc. 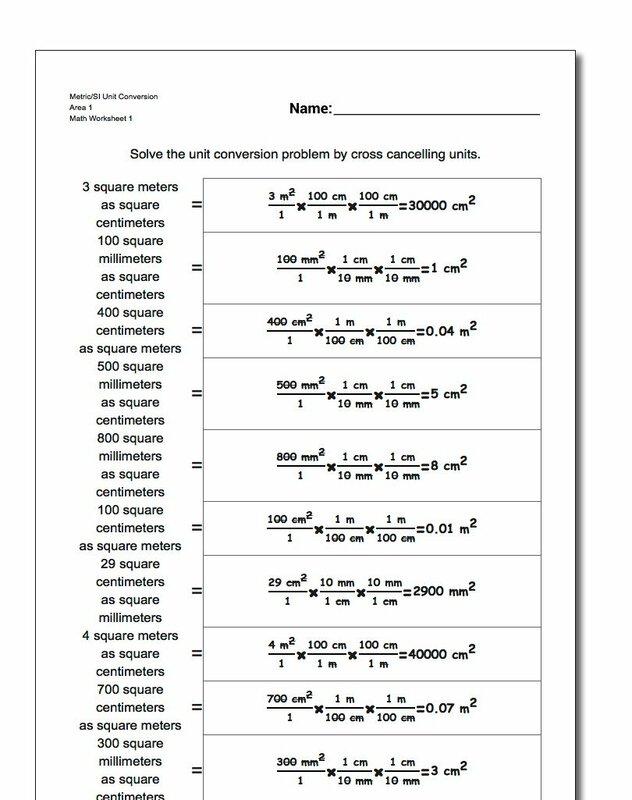 The metric system makes converting between cubic dimensional units and volume units easy and these unit conversion worksheets for converting metric/SI volume to other metric units practice common calculation. The metric system is used world wide as the standard for measurement. Practice converting units in this system is critical to success in math, science and many other fields of study. The each metric conversion worksheet in this section provide practice converting between a type of metric unit. for example length (distance), mass and volume. 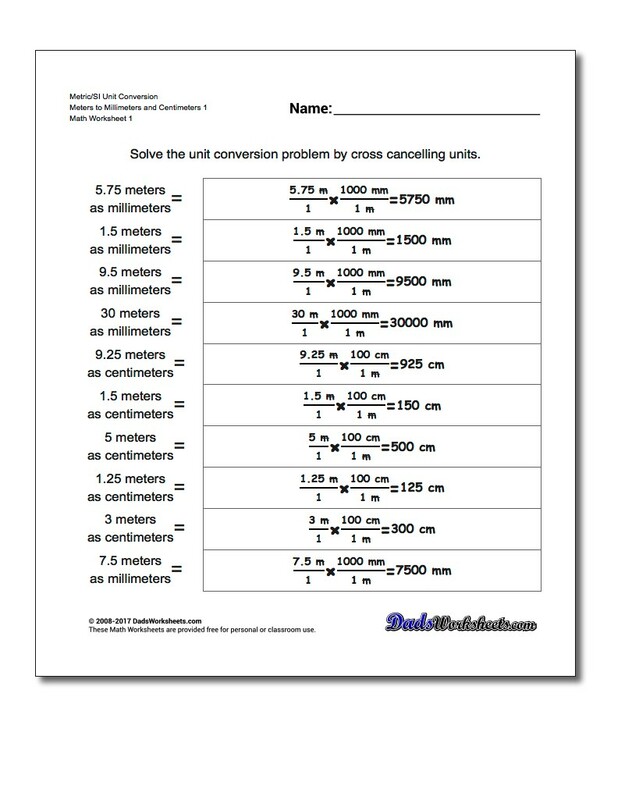 The first set of conversion worksheets deals with converting metric units of length. The base unit of distance in the metric system is the meter. The first set of worksheets focuses on conversions less than a meter, including millimeters to meters and centimeters to meters. Additional sets of worksheets deal with larger metric units, including meters to kilometers, meters to decameters and meters to hectometers. A complete set of length conversion worksheet practice is also provided that mixes conversion of units larger and smaller than meters, for example conversion of centimeters to kilometers. 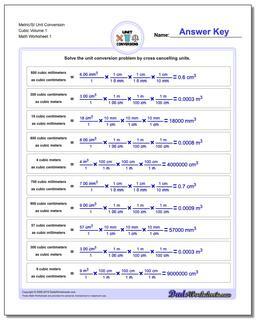 The second series of metric conversion worksheets on this page is about conversion of mass units. The gram is the base unit of mass in the metric system. 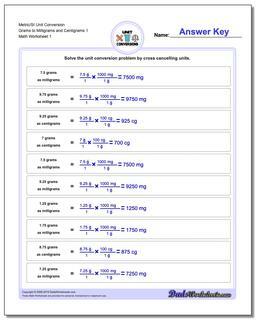 The first set of worksheets focuses on conversions using units that are fractions of a gram, including milligrams to grams and centigrams to grams. More conversion worksheets then deal with conversion to units larger than a gram, including grams to kilograms, grams to decagrams and the less common but also interesting grams to hectograms. 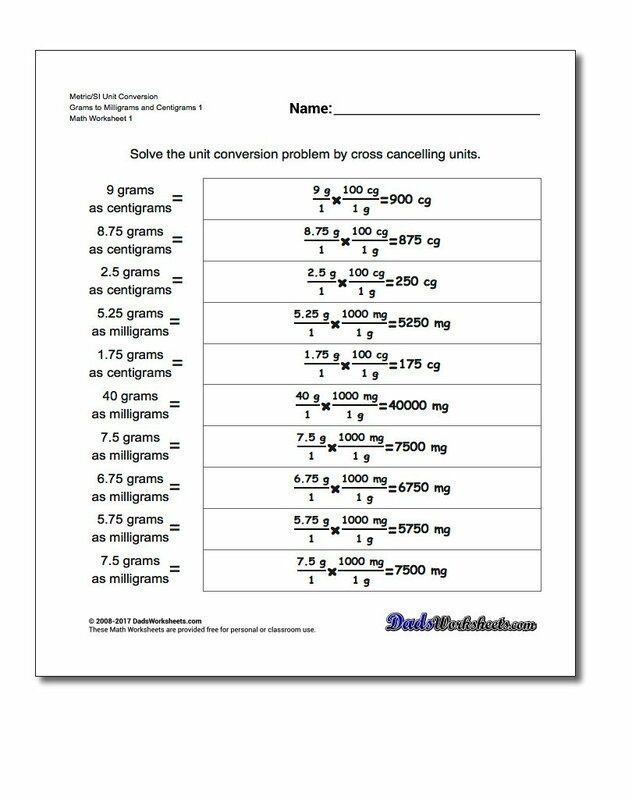 A complete set of practice mass conversion worksheets includes conversion of units larger and smaller than grams, for example milligrams to kilograms. 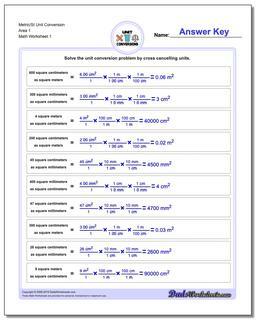 The final series of metric conversion worksheets on this page is about conversion of metric volume units. The liter is the base unit of mass in the metric system, consisting of exactly 1000 milliliters. The first of the volume conversion worksheets deals with units that are smaller than a liter milliliters to liters and centiliters to liters. The practice continues to conversion worksheets then deal with conversion to units larger than a liter, including liters to kiloliters, liters to decaliters and finally liters to hectoliters. The series ends with conversion worksheets covering conversion of units larger and smaller than liters, one such typical conversion being milliliters to kiloliters.